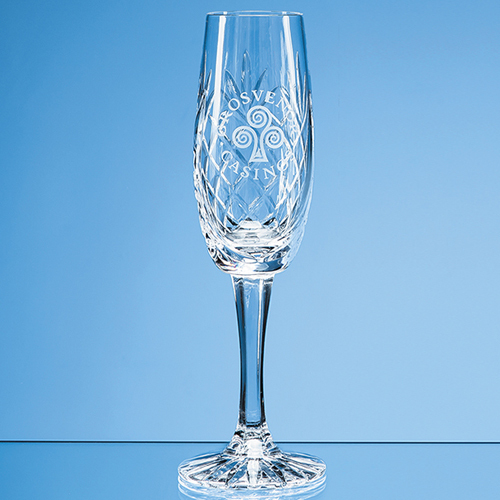 Elegant and sophisticated, this long stemmed 165ml Glencoe lead crystal panel champagne flute is embellished with classic diamond and wedge cut design and has space for engraving with a personal message, logo or crest. Its the ideal gift to mark a special occasion (work or personal) such as a retirement or special achievement award or an as engagement, birthday or anniversary gift. Available as an option is a beautiful presentation box with blue satin lining. Break out the bubbly!